In Korea, flying kites is one of the most popular folk games experienced during two of their major holidays - Chu'sok and Lunar New Year. 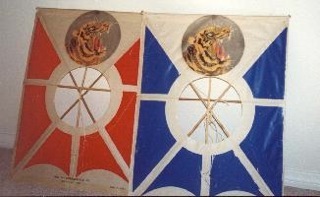 The traditional Korean kite is made from bamboo and rice paper. 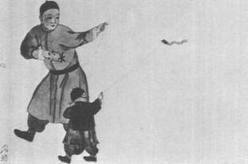 In Korean history, kite flying is traced back to 637 AD during the reign of Queen Chindok of Shilla. General Kim used the kite flying in the night skies to calm a restless and unhappy population. Fujimini Island is a Moms Choice Award-winning picture book series teaching Asian culture and values. Have you ever built or flown a kite with your friends and family before? My kids and I love kites and the feeling of joy we have when we are running behind them watching them dip and fly in the sky. We went out and flew some kites over the holiday and felt inspired to research and understand kite flying. Do you ever wonder where this essential piece of your childhood came from? Kites were first created approximately 2800 years ago in China. they were decorated with legendary figures and fitted with whistles to make musical sounds while flying. 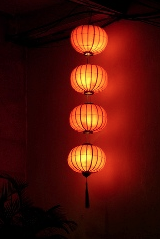 Asia is a place filled with celebration and deeply rooted tradition, especially during these warm summer months. July is a time of great festivities including the Food Festival in Singapore, the Arts Festival in Bali, the Kite Festival in Bali, and the Tet Doan Ngo Festival in Vietnam. Tet Doan Ngo is the middle year festival in Vietnam. It is held annually on the fifth day of the fifth lunar month. This festival celebrates the prevention of disease and warding off unwanted evil spirits. On this day, also known as the day for "killing insects", everyone must get up early and eat fermented sticky rice and fruits. The worshipping is held at noon, the hour of Ngo. The fermented sticky rice, also known as Ruou nep, is what is eaten to exterminate any bugs or parasites within the body. To make Ruou nep sticky rice is boiled and cooled then left to ferment for 2-3 days. This turns it into a thick, sweet liquid ready for consumption by children and adults alike. When tourism took off in 1965 in Bali, the Balinese decided they wanted tourism to exist solely through culture. The saying "tourism should be for Bali instead of Bali for tourism" stemmed from that very idea. The desire for cultural tourism brought about many holidays in festivals including The Bali Arts Festival and The Bali International Kite Festival. Like Independence Day in the United States, both these festivals take place in July. The Bali Arts Festival is a full month of daily performances, handicraft exhibitions, and other culture-heavy activities. This month is filled with spectacular sights and sounds of Balinese dance, music, and decorations. Throughout the villages of Bali music and dance groups compete in contests at the district level. From there the seka, or cultural groups, are selected and organized at the regency level to perform the Arts Festival, displaying the uniqueness of their villages and ancestors to a large audience. Many of the performances are held at the amphitheater which can hold up to 6,000 spectators, in a temple-like stage. 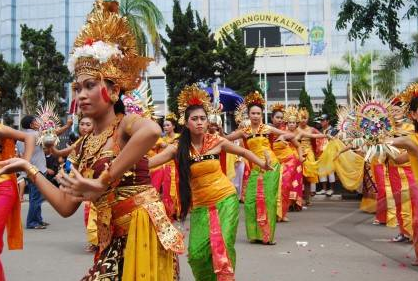 Many schools for dance and music have been built since the creation of the Bali Arts Festival. Like the Bali Arts Festival, the Bali International Kite Festival stems from Balinese culture and the desire for cultural tourism. The Bali International Kite Festival is an annual kite festival held in July in the Padang Galak area, Sanur Beach, Bali. The event is a religious festival intended to send the Hindu Gods a message to create abundant harvests. The competition consists of 10 teams, each team competing for the best launch and longest flight time. There are 3 traditional kites, the Bebean, or fish-shaped kite, the Janggan, or bird-shaped kite, and the Pecukan, or leaf-shaped kite. Kites traditionally 5 meters in width and 10 meters in length are made and flown by teams from the villages of Denpasar. Red, white, and black are the traditional colors of this festival. Tourists flock from around the world to watch and participate in this fun filled festival!